Sometimes, despite our best efforts relationships do end and sometimes, not as amicably as we would like. Here follow some simple practical things you can do, to cleanse yourself of the emotions and feelings associated with the person in question. This will help in getting over the break up – help to heal you, free you from the past relationship and allow you to move on. 1) Burn relevant photos or objects which hold memories of the person. 2) Write down all feelings of frustration, anger, hurt, fear etc and burn the paper (or bury or flush away). Repeat as many times as is necessary. 3) Imagine that any psychic connections between you and the other person are cut. Imagine yourself literally severing chords/cutting connections between you. 5 When you are ready forgive the other person. 7) Clear out any clutter from your house/room. 8) Clean and if necessary redecorate your house/room. 9) Surround yourself with inspiring pictures, books and plants. 10) Sprinkle Holy Water or Lavender Water in your rooms, light candles, play beautiful music. I hope you have found the above – 10 simple steps for moving on after a breakup helpful. 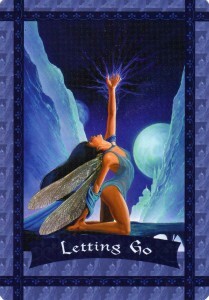 If you feel it could help you, Order a Tarot Reading here. If you would like to learn how to develop and use your intuition, click here to subscribe to the bi-monthly Intuition Development Newsletter ‘INTUITIVE’. Each subscriber is automatically entered into a draw for a Tarot Reading, the winner will be announced in the Newsletter.